United announced on Tuesday that "manager Jose Mourinho has left the club with immediate effect"
Mauricio Pochettino is the ideal man to replace Jose Mourinho as Manchester United manager, according to Gary Neville. Mourinho was sacked by United on Tuesday and Sky Sports News understands Michael Carrick will be appointed interim manager until a new temporary boss is appointed within the next 48 hours. 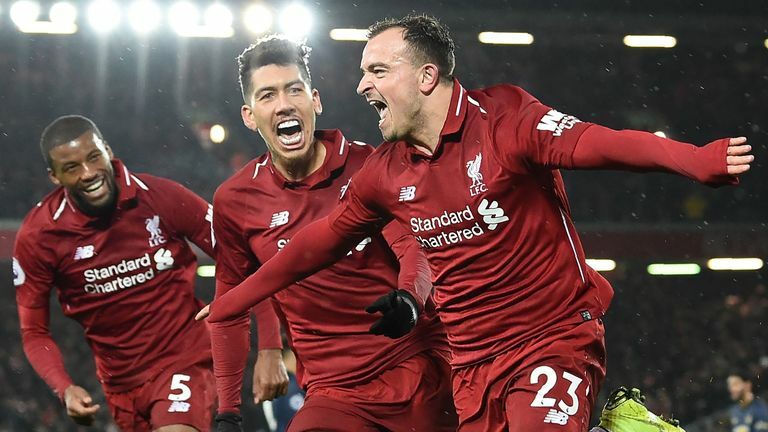 The Portuguese manager's future had been the subject of intense scrutiny - and the club's worst start to a season in 28 years was confirmed with defeat at Liverpool on Sunday. Neville, however, believes the Tottenham head coach - who only signed a new five-year deal with the north London club in May - has all the credentials to take over at Old Trafford. 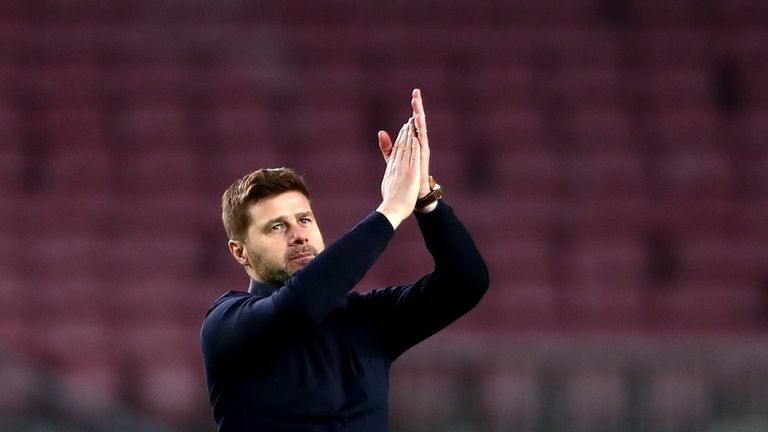 "I said last season that the next manager of Man Utd should be Pochettino," the former United captain told SSN. "If I look at the values of United, you look at Pochettino's belief in young players at Southampton and with Tottenham. "You look at his performance levels and style of play, the way in which he carries himself at all times - publicly and in private - I have been fortunate enough to spend two or three days at Tottenham's training ground. And for me, he just feels like the most ideal candidate. "There will be others who say 'no', but Man Utd have tried managers who have won European Cups, managers who have won multiple leagues, managers who have had that solid grounding in the Premier League. "My view is they need someone who meets the three key principles of that football club - the promotion of youth, entertaining football and to win football matches. "So at this moment in time, I see him - and people will suggest that he has not won a trophy yet at Tottenham, but with a net spend of -£29m, or something over the last four years, he could not have done more. He has done the most incredible job and I do think he is the person who is the most outstanding candidate. "But if you are a Tottenham Hotspur fan, you will not appreciate me saying that. If you are Daniel Levy at Tottenham Hotspur, you will be grabbing and holding on to him for dear life because you are moving into a new stadium. Mourinho sacked by Man Utd LIVE! What went wrong for Jose? "But he is the individual who fits the profile of what Man Utd need in terms of what he has done in the Premier League over the last five, six, seven years at both clubs."